You are a field recordist. 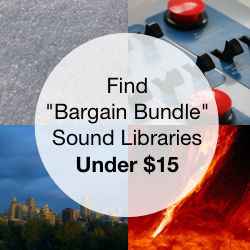 You’ve finally crafted a sound effects library. You’ve spent hours in the studio. You’ve wandered for days in the wilderness, capturing sound clips. You’ve tweaked, massaged, and sculpted your collection while editing and mastering. You’ve protected your sound library using copyright. Now you’re ready to share it. Sound library owners often make two fatal errors before releasing their sound library. Today we’ll look at these errors, and learn how to avoid them. Field recording gathers sound effects that surround us. In contrast to studio recording, field recording captures sound clips in an ambient way. When working out in the world, other, extraneous sounds may trickle into recordings. Perhaps you intend to capture a beach crowd when a distant radio bleeds into the chatter. Or maybe your car recording includes a signature ignition chime. The problem? Sometimes these sounds are not merely inconvenient, they are sounds that ruin your library even before you begin publishing. How? Audio like radio music or signature chimes are sounds that have been created by someone else. They are not naturally-occurring, atmospheric sounds. They belong to another creator. Just like your own sound library, they cannot be used without permission. Field recordists often don’t mean to record these sounds. Sometimes they creep unnoticed into tracks. At other times, a recordist may not even realize a sound is someone else’s creation. I know I made this mistake dozens of times when I began field recording. I just didn’t know better. 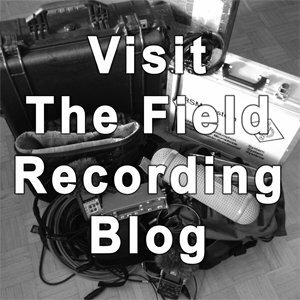 Do your field recordings contain copyrighted material? Perhaps you are recording a street crowd, but also happen to capture a busker playing guitar in the distance. Maybe you recorded an old Atari console video game’s blips and bloops. Perhaps you’re designing swishes and whooshes using sound clips from a DVD library. Sadly, each of these sound effects suffer from copyright infringement. These situations are common. Most field recordists are completely unaware they are an issue. They often occur from oversight. The problem is that you can be sued if you publish sound effects using someone else’s creations. If your sound effect is already being shared, the original creator can demand fees for every sale of the problematic sound. This is why it is important for field recordists to know these problems, and how to avoid them when creating and sharing a sound library. Using performances in your sound fx. Creating sound clips using with derivative works. 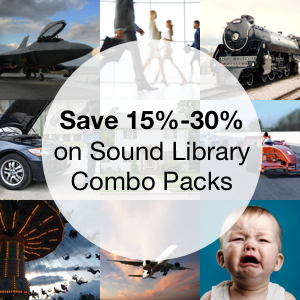 Let’s look at each of them, and see how we can protect your sound library. Common sense tells us that we can’t take someone else’s work and call it our own. We cannot earn money from it. It also seems logical that we can’t take someone else’s creation, use it, or duplicate it without permission. After all, we wouldn’t want others to do this with our sound libraries. This is especially apparent when considering performances. We can’t record a band playing in a bar and sell it as our own. They wrote the song, and they played it on stage. That creation, and that expression, is theirs. An author reading at a library. A choir singing a church hymn. An inspirational speaker at a seminar. A children’s rendition of a Shakespearean play. Spoken word at a poetry jam. Some guy strumming a guitar in a park. These people are investing themselves into a performance. If you don’t have permission to use the expression or creation, you cannot use the recordings in your sound library in any way. Avoid including these clips in your library. Sounds recorded from a television episode, or a film broadcast. Music or sound effects from video games, YouTube videos, or iPhone apps. Mobile or cell phone ring tones. Signature tones such as computer operating system bleeps, blips, and start up chimes. What’s common with these sounds? Unlike the previous examples, they’re not performed directly by people, or performers. They’re broadcast by technology. However, they are still expressions of someone else’s creative work. Like the performances, they are copyrighted, and cannot be used either. Including these sounds in your library runs the risk that a creator may take issue with your recording, and the money you’ve made from it. Most field recordists know to protect their library and avoid using these recordings. A bird recording with a distant television program from a nearby house. A mall crowd with a faint techno beat from a clothing store. A parakeet from a commercial DVD library that you’ve edited, pitched, and processed. This introduces a complication. Creations don’t appear from nowhere. They often use ideas or tools, combine them, and build upon them. Of course, using someone else’s creation and claiming it as yours is a breach of copyright. But what happens if you change it in some way? Perhaps you add to it, or improve it. Can you then call it your own? Can you earn money from this new creation? This is what the idea of derivate works, and our second point, attempts to figure out. Derivative works, if you recall from the first article in our series, are new creations based on the work of others. The concept of derivative works was designed to acknowledge that no creation occurs in a vacuum. It allows some uses of others creations in your sound library. How far does it go? There are two guidelines for using someone else’s work in your recordings and allowing you to call it your own. The source sound must be changed substantially. The source sound is the clip, recording, or performance that you did not create. Whatever it is, it must be transformed dramatically. In other words, your input or influence on the original must be significant. This is known as transformativeness. 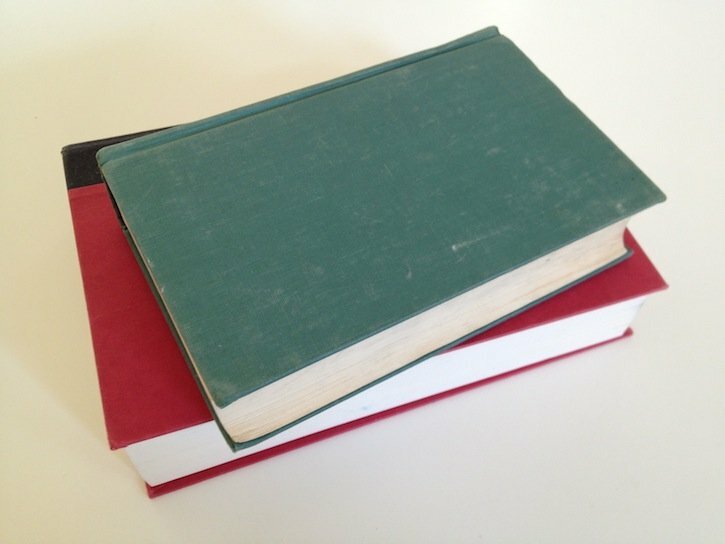 Typically, you must change it to the degree that the original is no longer recognizable. Simply editing a band’s performance is not enough. Adding reverb to a video game sound won’t do the trick either. The change must be drastic. Your new creation must be “highly beneficial to the public.” What does this mean? Your new sound can get away without altering the source, but it must have strong meaning. It may be a political statement. It may help others in need (charity, prevent genocide). The idea is that the contribution must be unselfish and remarkable on a massive scale. Do You Own Your Sound Clips? If your field recordings contains music by another artist, you do not own the recording completely. If a Lady Gaga beat is in the background, technically she could track you down and demand royalties for every sale of the sound which contains her music. The rationale is that her music is making your recording more valuable and she should get a portion of that increased value. This is true for brand names, or logos, as well. During the 2012 Olympics in London, UK, the International Olympic Committee aggressively pursued small cafes and even a lingerie shop that used the Olympic rings logo. The shops were fined, and the logos removed. Why did they do this? Well, the logo and brand was copyrighted. Some bars and cafes paid well to have the IOC’s endorsement, and to borrow their brand. When the IOC pursued infringers they were not only protecting their brand,but also their partners. Some see this as excessive, or unlikely. Don’t take the chance. Modifying the source doesn’t guarantee you’re protected, either. When the British band The Verve recorded “Bitter Sweet Symphony,” they based it upon an Andrew Loog Oldham interpretation of a Rolling Stones song, “The Last Time.” They sampled bongo drums from the Andrew Oldham Orchestra song. The Verve knew they couldn’t use the sample and the song without permission. They had negotiated a license to use the sample. However, a court ruled that the Verve had used “too much” from the original. In other words, “Bitter Sweet Symphony” was not transformative enough. This is a good example of how powerful copyright is. Even when licensed, and included in a derivative work, the change wasn’t significant enough to be considered a new, copyrightable creation. The copyright reverted to Oldham’s record company, and the songwriting credits were changed to include Rolling Stones members Mick Jagger and Keith Richards. Richard Ashcroft of the Verve wrote new lyrics, but that only entitled him to be credited to as a co-writer. The band never saw a single penny for the song. There’s two ways to see this. In one way, it’s a precaution against using some else’s work in your sound library. Yet, in another, it shows how strongly copyright can protect your own sound effects. Are you recording something someone has previously created? Are you recording someone performing? Are you recording something someone may want compensation from in in the future? If so, shut off your recorder and move on. I list these ideas for one reason: to protect you. Be careful with you recordings. It’s important to know these hazards. Why? You’ll protect yourself. You don’t need complications with your sound library as you begin to grow it and share it. You’re likely familiar with the theme song “Titles” from the 1981 film Chariots of Fire. At the time, the electronic soundtrack written by Greek composer Vangelis was a radical departure for a period-piece film. It influenced the way films were scored while in production thereafter, and earned an Academy Award. The track also has a history in copyright law. Eight years later a case between EMI and Warner Brothers was brought before the London High Court, accusing Vangelis of plagiarism, citing a 1978 tune by Stavros Logaridis. While the chord changes and instrumentation were similar, Vangelis demonstrated how his compositional style influenced the track, and was acquitted. Keep your recordings “clean,” free of any other artist’s creative work. Keep records of your creations, including sessions, source DATs, and raw recordings of questionable material. This protects you legally. It also appreciates a broader concept: it recognizes artists. It supports the idea that we all seek, even for ourselves: that creators should be respected for the work they contribute to the world. In the next article, I’ll conclude the series by explaining how copyright affects your sound library when you plan to share it on the Web.